Ask any child and they will tell you exactly how many days are left until the start of the best holiday of the school year! If you're holidaying in the UK, having a staycation or day tripping this summer take a look at our range of holiday and summer essentials. 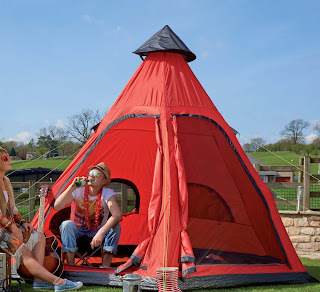 We've got a great range on offer, covering camping equipment, outdoor toys, beach chairs, pools trampolines, and even indoor games for the inevitable rainy days. Whether you're taking the kids to the beach at home or abroad, to the pool, the local lido or even for when they've been in the bath, these personalised ponchos are a fab idea. 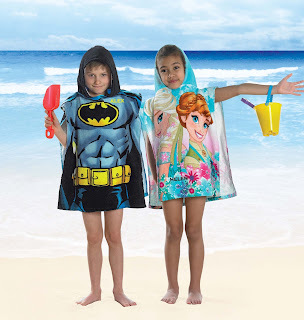 They are available in a choice of designs and are great for drying off the kids when they've got out of the pool, and are also great coverups for when the sun is hot. 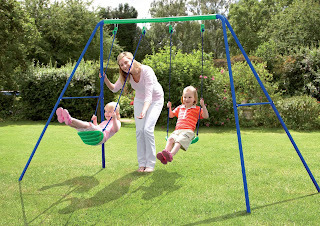 Save overf 65% off these ponchos, they are now only £4.99 each. Whether you're looking for a splash pool something a little bigger, we've got plenty of choice at Studio, our pools are priced from only £7.99. Characters include Despicable Me, Finding Dory and Paw Patrol for the little ones, to 10ft and light up pools for the older kids. There really is something for everyone. 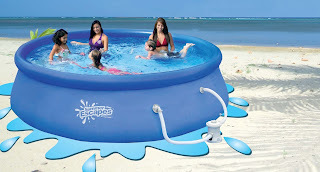 Shop our pools and accessories today. And don't forget, if you're planning ahead and are already thinking about the new school term, you can shop our Back To School Collection now and get a headstart on the Autumn term.